What is the Everson Chem-Dry Difference? Three words: trustworthy, effective, and friendly. Three more words: drier, cleaner, healthier. The Chem-Dry difference is in the overall outstanding cleaning experience. From fantastic local customer service to a uniquely effective cleaning, we have you covered. We use the power of carbonation to explode dirt and grime from your carpet fibers, even deep down. These carbonated cleaning substances also allow us to use a fraction of the moisture other carpet cleaners may require. Less water means less drying time and no growth of mold and mildew under your carpet! John’s Chem-Dry of Whatcom County is preferred by customers (read the reviews) and professionals from Bellingham to Ferndale. Plus, the Carpet and Rug Institute (CRI) designated Chem-Dry as a company deserving the CRI Seal of Approval for our innovative and unique Hot Carbonating System. The CRI Seal guarantees customers that a service is certified and recommended to help protect your carpet investment. Here at John’s Chem-Dry of Whatcom County, we care about the environment. That is why we provide certified green carpet cleaning. We believe in the sustainability of our natural resources, which is why we opt for less water usage and natural, non-toxic cleaning ingredients. Our friendly staff serves all of Whatcom County, including Lummi Island, Point Roberts, Sumas, Ferndale, Bellingham, Lynden and the Blaine area. 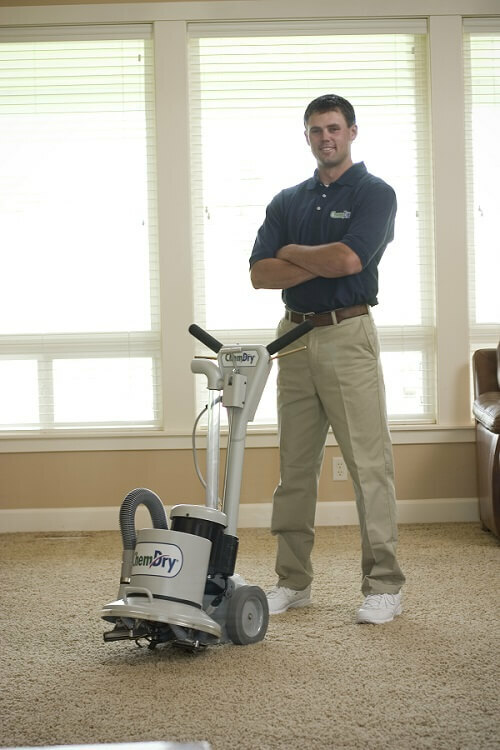 Clean your carpets the right way – with John’s Chem-Dry of Whatcom County. We provide a drier, cleaner, and healthier carpet cleaning experience. Contact us today for a free price quote or to schedule your next carpet cleaning appointment!